'Rajma Chawal' at the BFI London Film Festival this year and was screened at the 20th MAMI Mumbai Film Festival. MUMBAI: Academy Award-nominated cinematographer Donald McAlpine of "Moulin Rouge!" fame presented Delhi with a different visual perspective in "Rajma Chawal", the film's director Leena Yadav and producers Aseem Bajaj and Gulab Singh Tanwar said. Bajaj, a celebrated cinematographer himself, was asked about the difference McAlpine brought to the table. He told IANS here: "Sixty years of experience as a cinematographer in every frame of our story! You see, in 'Rajma Chawal', there are characters -- the city, a different culture and several elements have been amalgamated in the story. "It is easy for any celebrated cinematographer to feel tempted and flaunt his craft that could overpower the subject matter. Maintaining the simplicity is actually a challenge and he did that so beautifully." "I was so impressed with how he was looking at every corner of the place from the perspective of our story." Adding to that, Tanwar said: "It was a conscious decision to bring someone on board from abroad because that always adds a new perspective; because as an Indian, when we look at our own places, we tend to capture the mundane part of it -- the noise, traffic, dirt and everything that bothers us in daily life. "When the same place is viewed through a person from a different background, the perspective changes." The film "Rajma Chawal", released on Netflix, is set in Delhi. 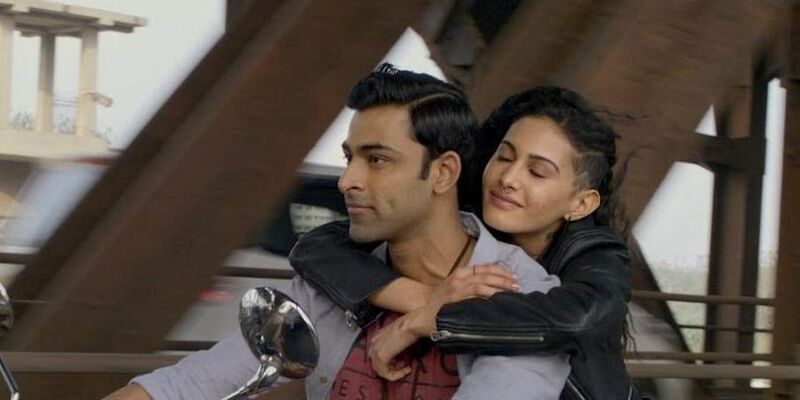 It also features Amyra Dastur, Nirmal Rishi, Aparshakti Khurana and Harish Khanna. The film premiered at the BFI London Film Festival this year and was screened at the 20th MAMI Mumbai Film Festival. Leena, known for her film "Parched", said: "It was interesting when Donald sat down with me just before we started rolling and said that though he knows the story and script, he does not know Hindi. "Since all the actors will speak in Hindi, he said if he can talk to me about it, when capturing an emotional moment, because without knowing the language, the possibility is to catch some false moment in the performance." "The good thing is that after a few shots, he came to me and said how the portrayal of emotions were touching his heart, despite not knowing the language... I think that is the purpose of universal storytelling, that crosses the boundaries of language and culture and touch the right cords," she added with a smile.